The Gilras GRK-6000 provides a wealth of accurate information in one simple and easy-to-perform pre-test environment. Technicians will love how user-friendly this device is. You can sit or stand thanks to a color LCD that features a tilt mechanism. Even alignment and focus are automated. Measurements can be taken manually with the push of a button on the multidirectional joystick. Or, you can turn on the auto measure function and the GRK-6000 will begin taking measurements as soon as the patient is properly focused. A locking lever, built in printer and automatic sleep mode are also among the many added features practitioners will enjoy when selecting this outstanding device. 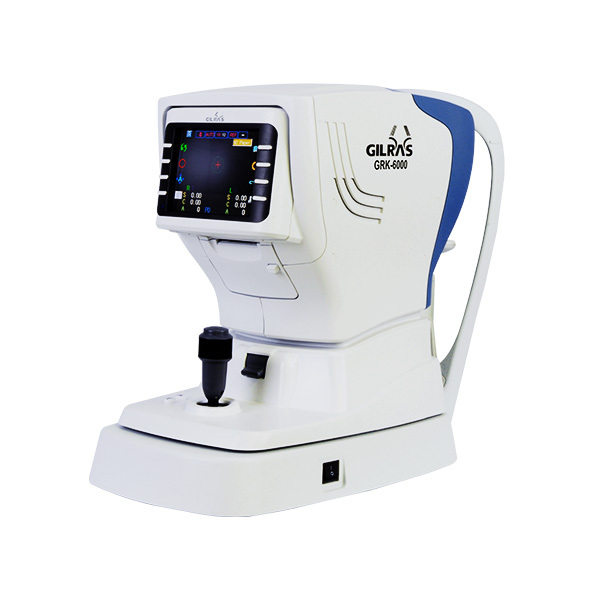 Click the button below to add the Gilras GRK-6000 Autorefractor Keratometer to your wish list.